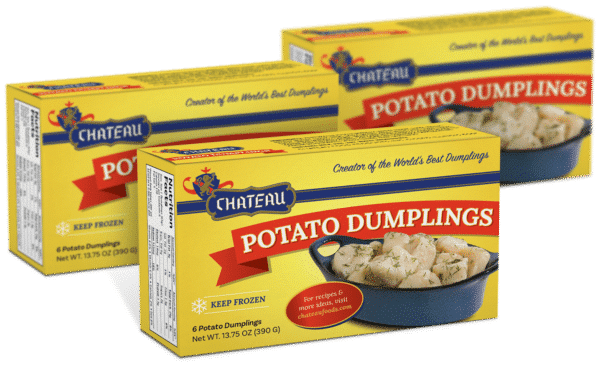 On a large sheet pan sprayed with non stick spray, press out the 6 potato dumplings into a round/oval shape, making a deeper indentation in the center of each one and pressing up the sides of the dumplings. Crack an egg into the center of each of the dumplings. Sprinkle with salt, pepper and chili powder, to taste. Whisk the 7th egg with the water and using a pastry brush, brush the potato dumplings with the egg wash. Spread the pieces of bacon around the dumplings with the eggs in them. Bake at 375 degrees until the dumplings are golden brown and the eggs and bacon are cooked. This took about 15 minutes. Remove from the oven when done, drain the bacon on some paper towels. 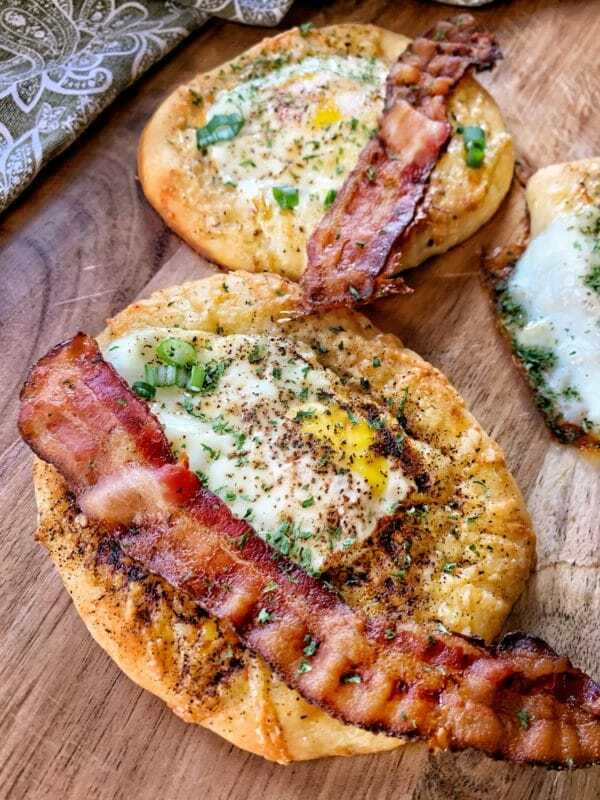 Once drained, pat the grease off and top the egg pastries with the bacon and a sprinkle of dried parsley. *keep an eye on the bacon, you may have to remove it before the pastries are done.